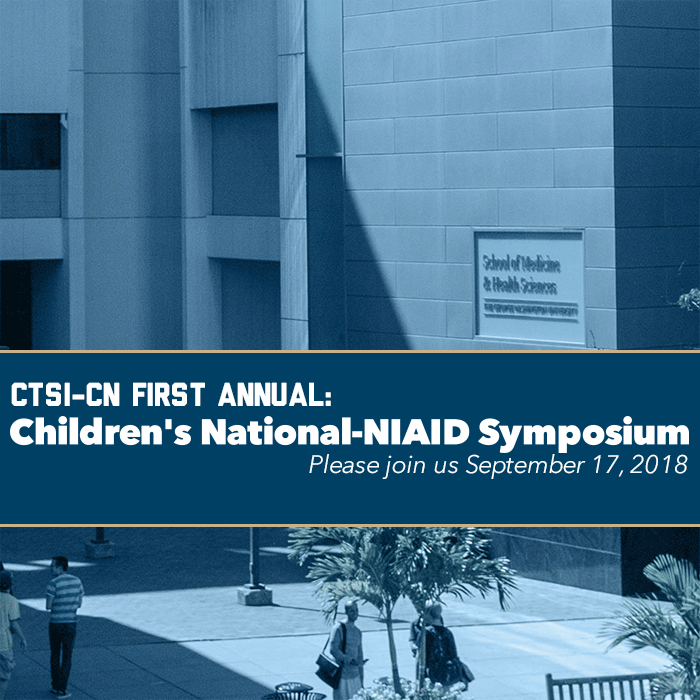 Please join us for the first annual Children's National – NIAID symposium! It will be a wonderful day of interactive learning at Children's National, including an overview of the Children's National – NIAID partnership, associated projects, and training program; two robust panel discussions; a tour of the Children's National campus; and an analysis of complex care in learning health systems. Registration is required and must be completed by 12:00 pm EST on September 13, 2018. Breakfast, lunch, and light refreshments will be served. Garage parking is available onsite for guests to Children's National. Guests will need additional time to park and check in at one of two lobbies. The full agenda will be made available on this page prior to the symposium. To see the full symposium agenda, click HERE.